Maia is a partner in the Firm’s Corporate & Securities and Motor Vehicle Groups with extensive experience representing both domestic and foreign companies on a wide variety of legal matters. Her motor vehicle practice concentrates in motor vehicle franchise matters, including assisting clients with the appointment of new dealers, amending and replacing dealer agreements, establishing and revising key dealer network policies and programs, navigating buy-sells and rights of first refusal and terminating dealerships. Additionally, Maia provides general corporate counsel to foreign motor vehicle manufacturers and luxury automotive brands on a wide variety of corporate and business matters. Maia’s corporate and securities practice focuses on capital markets and securities matters, mergers, acquisitions, joint ventures and other strategic growth transactions, and general corporate counsel in a range of business issues, including contract negotiations, licensing agreements, corporate governance and general business planning matters. Prior to joining Barack Ferrazzano, Maia practiced at Latham & Watkins LLP in Chicago and Singapore. 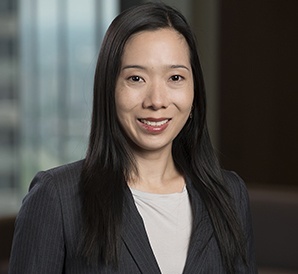 During law school, Maia was Treasurer of the Japan Law Society and was involved in the Irwin Askow Housing Initiative at the Edwin F. Mandel Legal Aid Clinic, where she provided legal representation to parties involved in affordable housing developments in the Chicago area. Prior to attending law school, Maia was an archaeologist who excavated in Egypt and Turkey. She also worked at the J. Paul Getty Museum in Los Angeles, the Peggy Guggenheim Collection in Venice, Italy, and the Oriental Institute Museum at the University of Chicago. Maia is proficient in spoken Japanese.